**NOTICE** 4/24 thru 4/28 - GenRacer will be in Alton, VA for racing - Orders will be processed but some will be delayed ship until 4/29, Thank You! 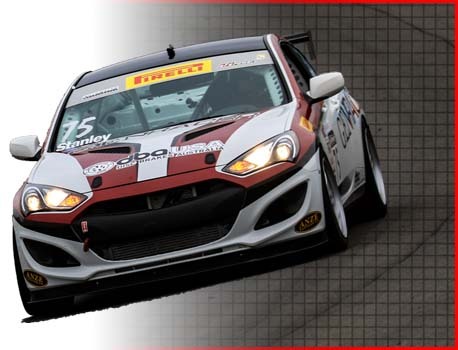 Genracer is your primary source for Hyundai Genesis Coupe parts and accessories. We stock hundreds of parts at our location and give our North America customers the ease of ordering exactly what they’re looking for online. Any enthusiast can visit our website to order the Hyundai Genesis Coupe mods they need. Our inventory includes the finest quality Hyundai Genesis Coupe accessories and parts. 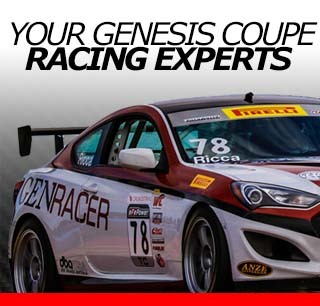 We want to provide you with the Hyundai Genesis performance products that will effectively increase your vehicle’s power and handling capabilities. We offer a large selection of aftermarket Hyundai Genesis Coupe parts for the 2.0T and the 3.8 V6 platforms. Our stocking warehouse allows for Genesis Coupe owners to receive their performance parts very fast and offer superior customer service. Whether you have a BK1 first generation or BK2 second generation Genesis Coupe, we are here to help you get the most of modifying your Hyundai. We make ordering Hyundai Genesis Coupe accessories and parts simple. Our experienced staff has the answers to all your questions, so feel free to ask about anything at all. We’re dedicated to offering the best service. Learn more about Affirm financing and our Rewards program by contacting our team.